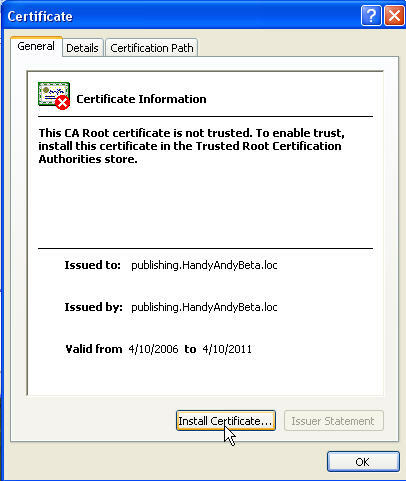 Whether it is for CRM or RPC over HTTPs you need to have the SSL Certificate installed on your clients. 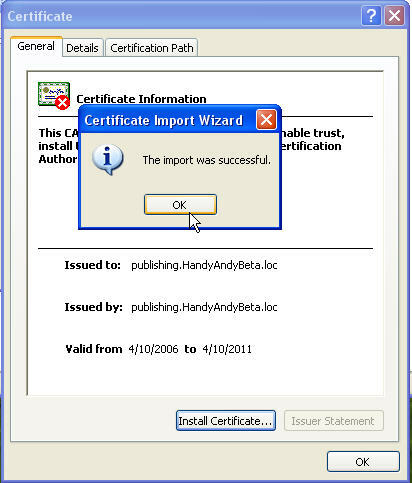 This will show you the simple process to accomplish that task. 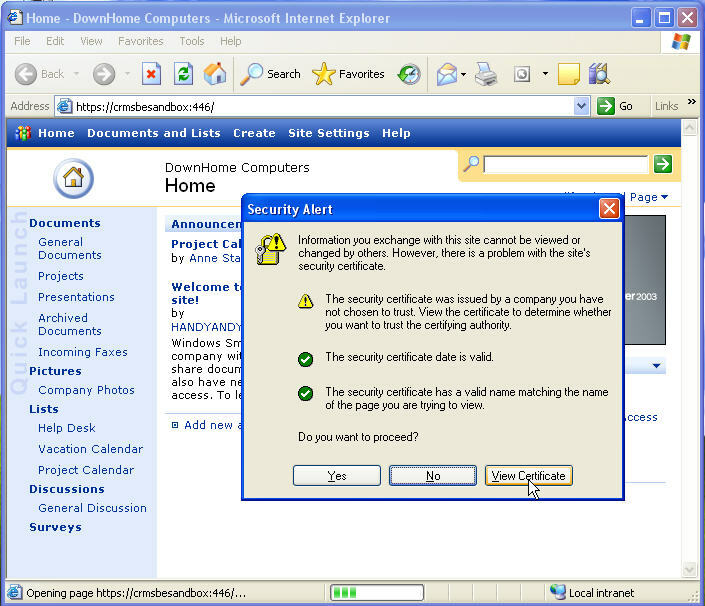 Open Internet Explorer and go to the SSL site in question. 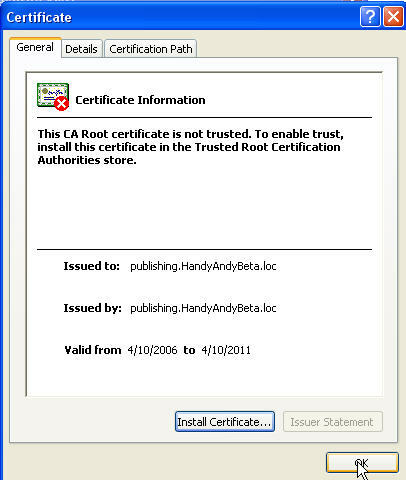 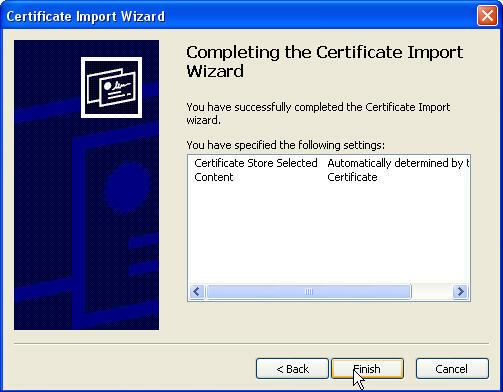 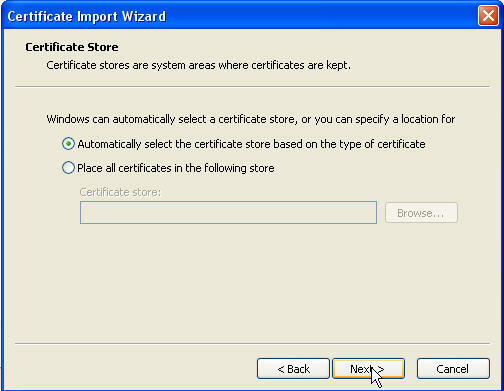 At this point you have actually installed the certificate. 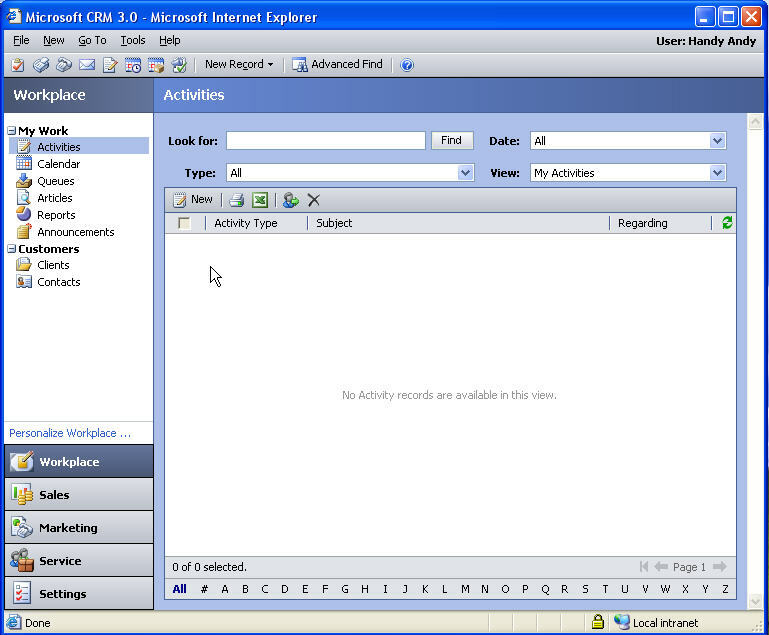 want to open the web page. 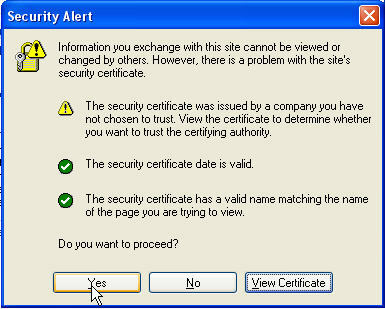 And here we see the secure page has opened.